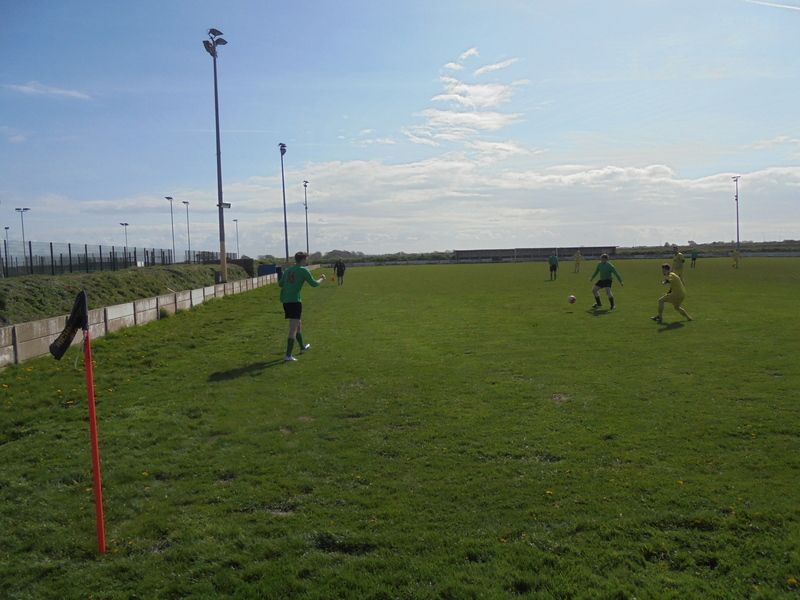 The Easter weekend festival of football continued unabated (by this point) and it was one of the stranger trips I’ve probably ever done that featured during the Saturday. 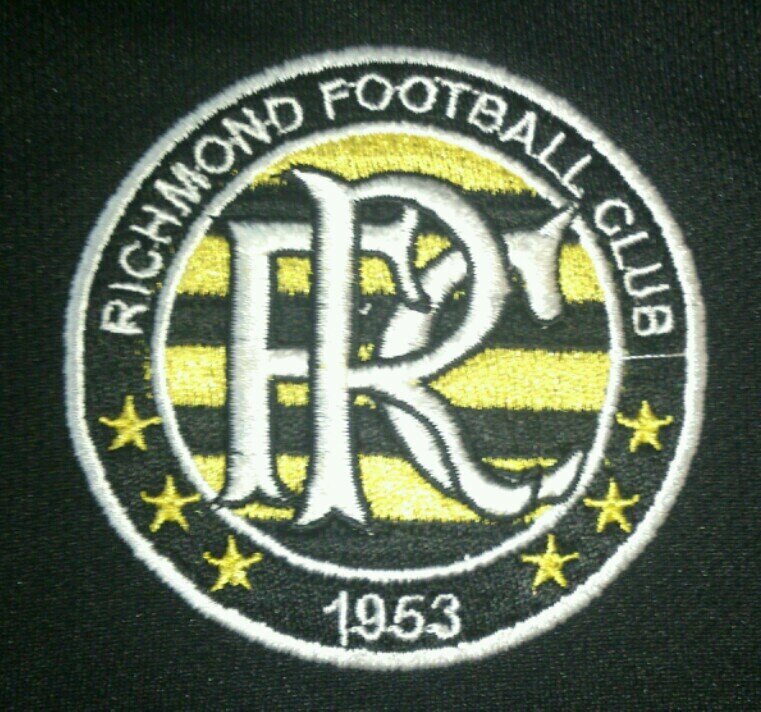 It all began with me discovering an obscure league (obscure as I’d never heard of it) and a team in its second division by the name of Richmond. 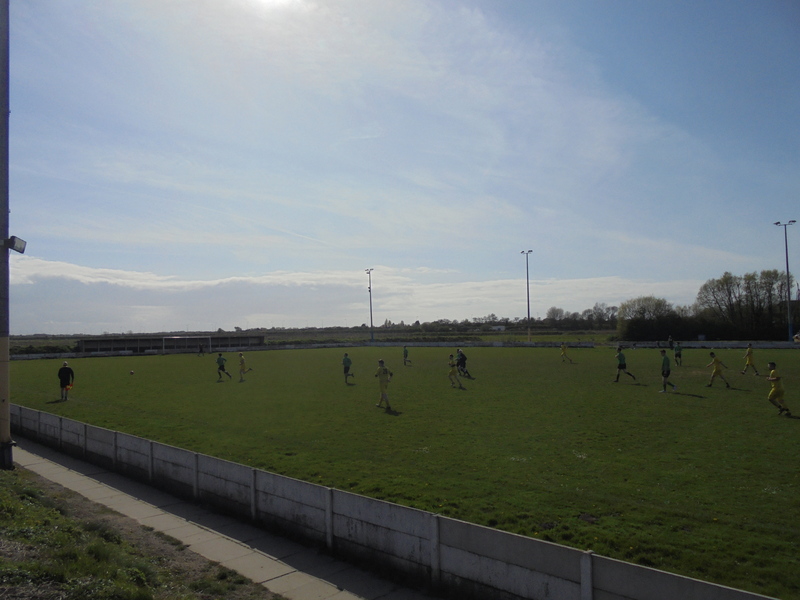 Now, it turned out that Richmond give the perfect opportunity if you’re like me and missed out on it during the Squirrels’ days there, to visit Formby’s old ground at Altcar Road. So, having been assured by Richmond’s twitter that I would have a reserved seat & cuppa awaiting in the Main Stand, I set off towards the coast. 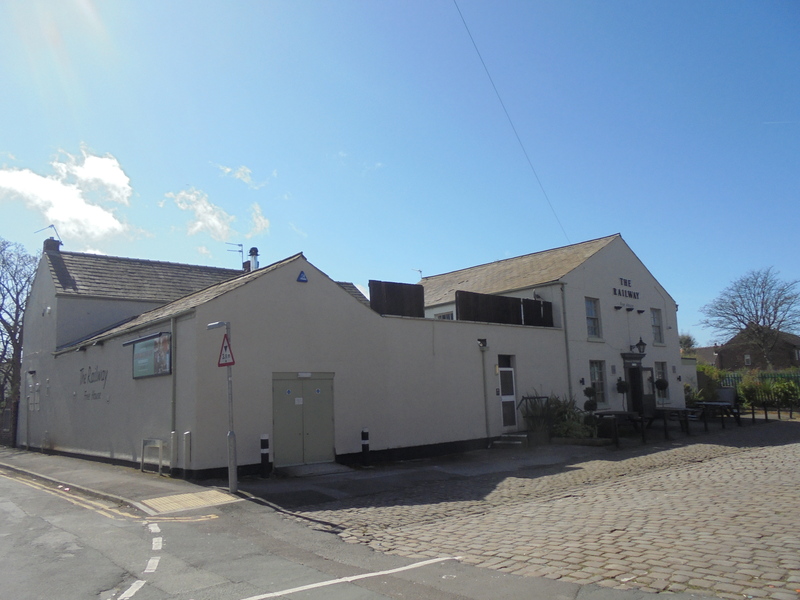 Eventually arriving into the town at around midday, my first pit-stop was the Railway pub which is located, probably unsurprisingly, next to the railway. Here’s where the strangeness started. Upon arriving at the bar, I was asked “Are you from G4S?”. My reply being to the negative, I was then given a pint instead of cash and instead ended up lighter in the pocket rather than a lot more better off!! After a bit of a laugh with the barman, I opted for a Coors, with it being a cheaper option (circa-£3.50) than some of the ones in here. The Railway is a pleasant place, a free-house whose rooms were filled with a fine aroma emanating from the kitchen within. 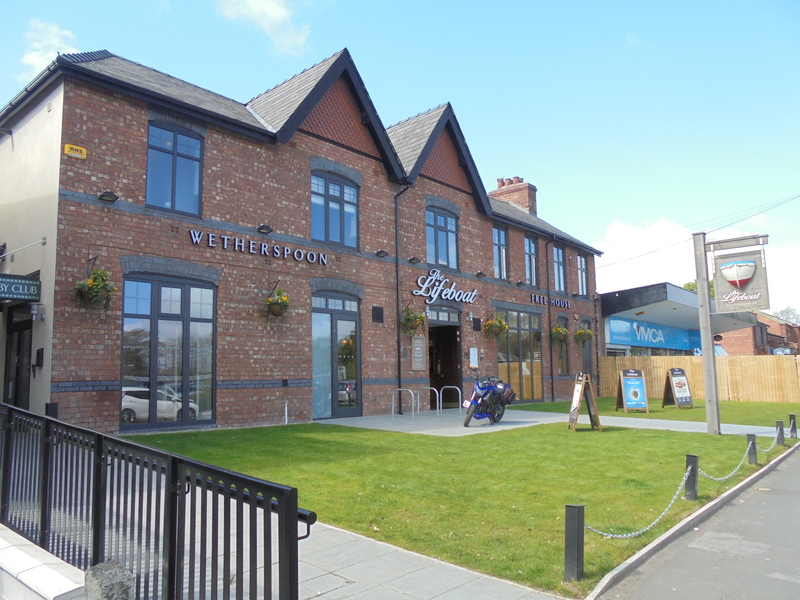 Alas, I had to soon move on, so headed onwards towards the centre of town and towards the Formby Wetherspoon’s, The Lifeboat, so named in homage to the area’s history with the craft. 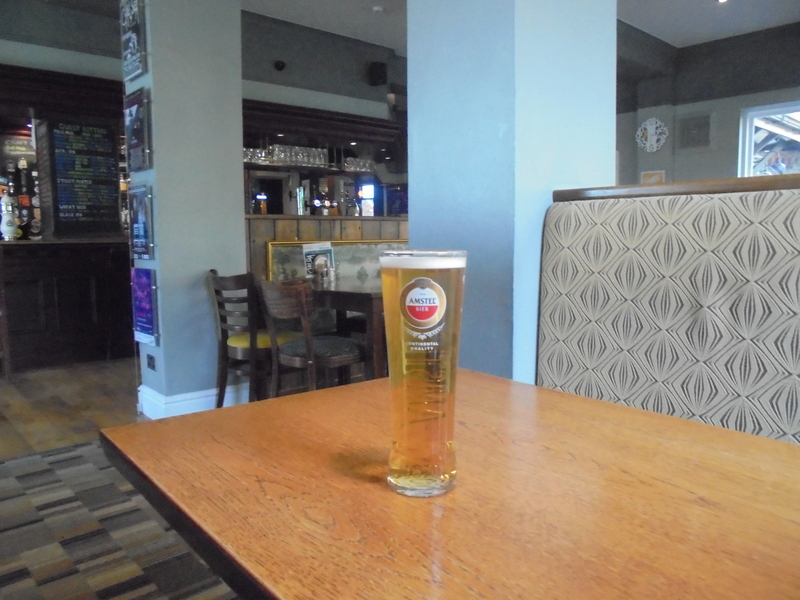 After a ten minute walk along the main road, I arrived at the ‘Spoons only to discover that located next door was the Village Inn. The Village is decked out with a varied collection of scarves, ranging from Barcelona to AFC Darwen, and other varied football paraphernalia. I happened to time my arrival here well too, as I’d just got to the bar as the late equaliser went in at the Milan derby. 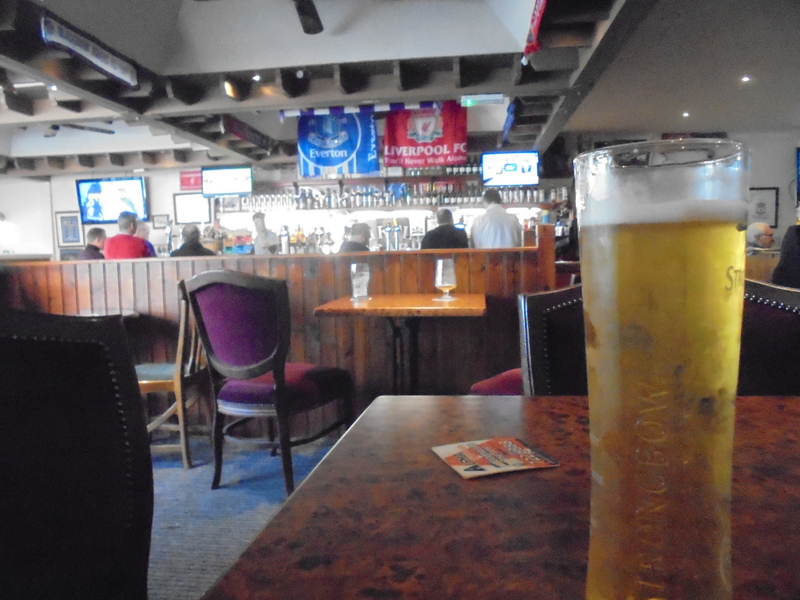 It was pretty cheap too, with a pint of Strongbow costing just the £3. 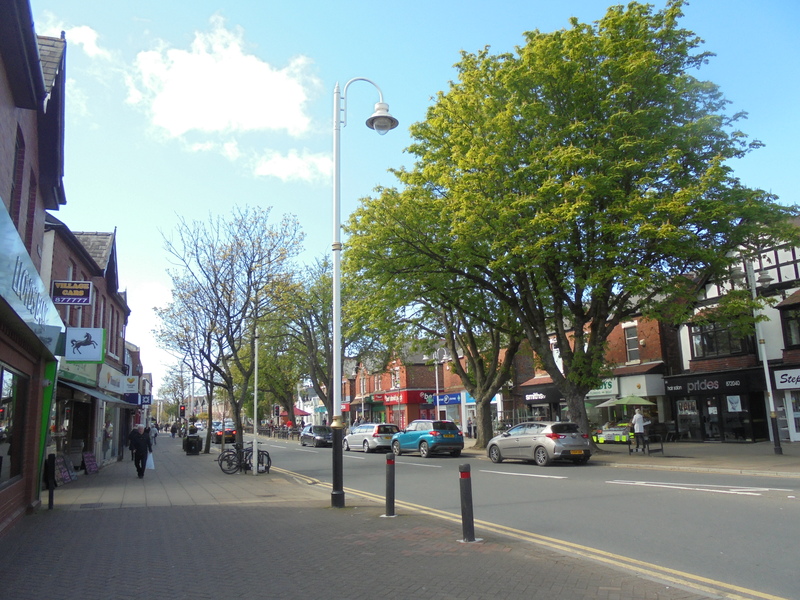 Anyway, the tour de Formby must continue and I soon found myself in the aforementioned Lifeboat where I actually had something of a conversation with the girl working the bar there. 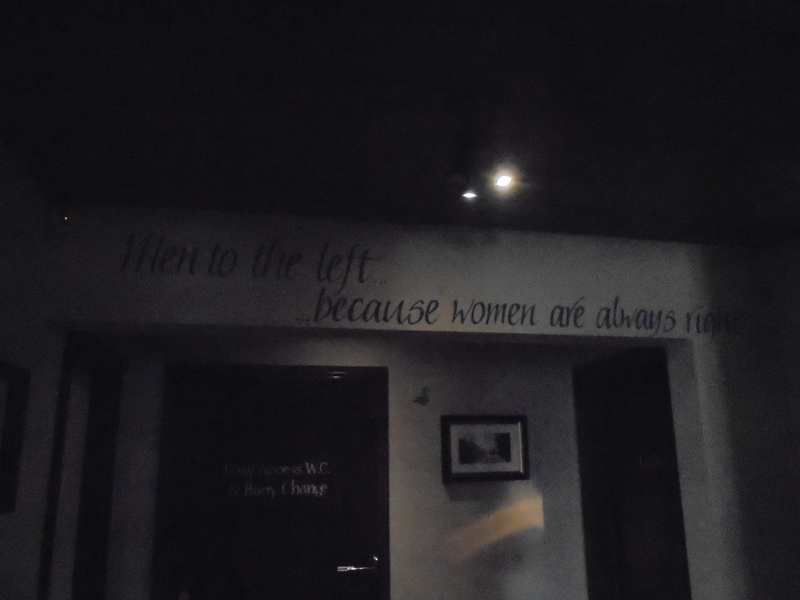 In a ‘Spoons! Madness. Anyhow, with the Punk IPA issue from the previous day’s visit to Huddersfield not affecting supplies here. As per, there was little in here to keep me entertained and so it was swiftly downed and I then went back on myself to the final pre-game stop. 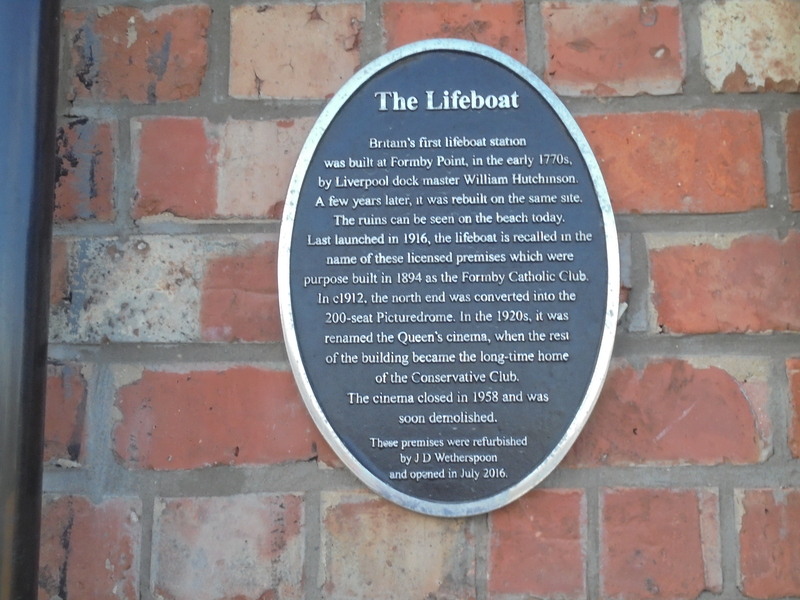 Why “The Lifeboat” is named as such. The Cross House sits on the roundabout at the foot of the road to the station and is a pretty large building so you can’t really miss it. It’s quite traditional inside too, though my choice of beer was less so, as I plumped for a gluten-free Czech beer by the name of Celia. I’d never heard of it but nothing ventured as they say, so I forked out £3.80 for it and it was alright. Nothing too special though. 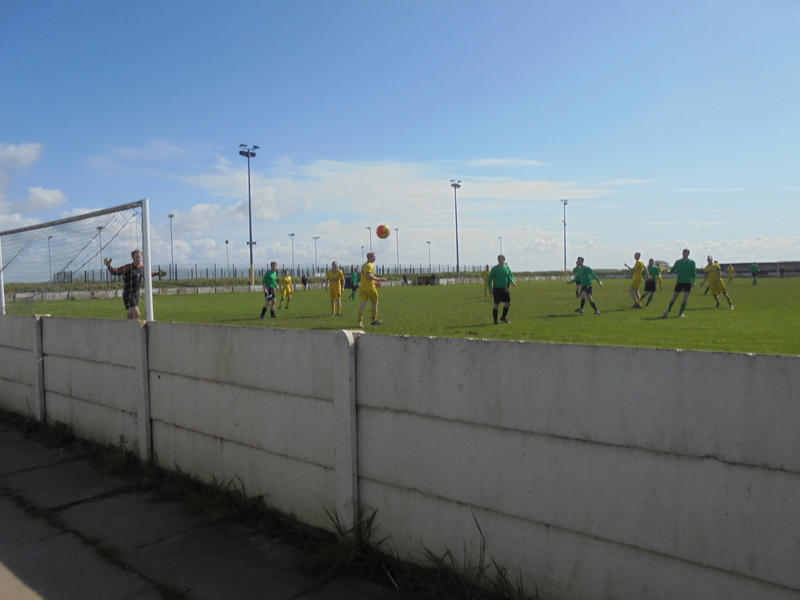 My time in here was spent watching some of the early kick-off on TV before I eventually had to set off for Altcar Road. After getting slightly stumped by my directional sense, a dog walker, who must have heard me muttering to myself and had that “Oh no, he wants to talk” thought, gave me some great instructions of how to get there though him saying “Which ground, the old Formby one?” showed no-one in the area knows the ground is still used. 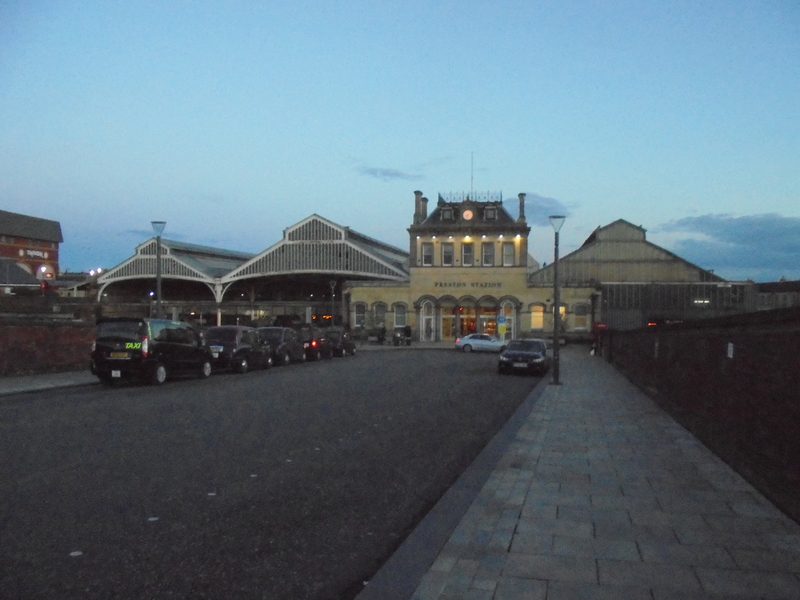 Anyway, just as he said, after a 15 minute walk, the Tesco clock tower signalled my arrival. Despite expecting the crowd to be low, it’s always strange to turn up to a ground (one with actual stands and what have you) and find next to no-one about. There’s something a little saddening about it. 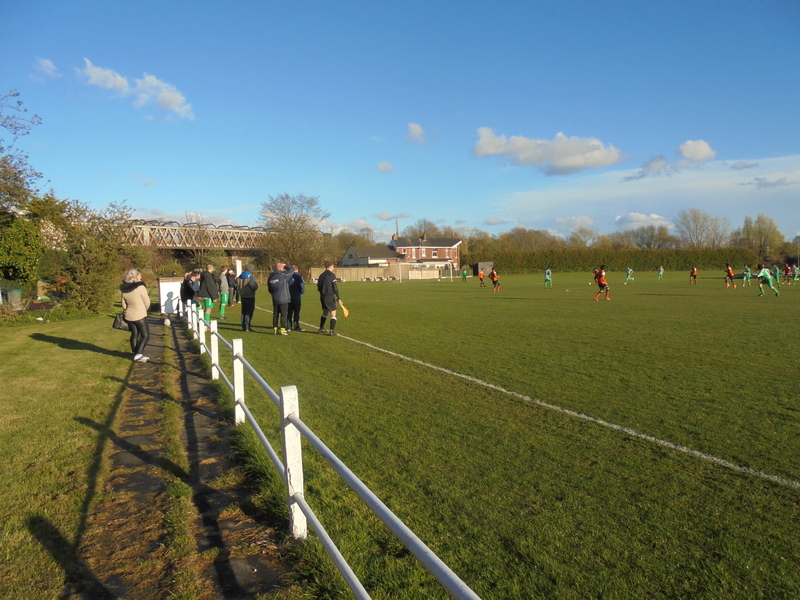 But I was there, along with five other hardy souls (two were kids on the away touch-line) and that is still more than Northwich Villa got for a game a few years back while at Flixton, so there you go. Anyway, no sooner had I entered than I was greeted by Richmond’s manager Alan, who I imagine runs the twitter so had expected me and, shortly afterwards, chairman Brian. Both stopped for a quick chat and seemed pretty confused to why I’d bothered to travel and warned me to not expect too much! 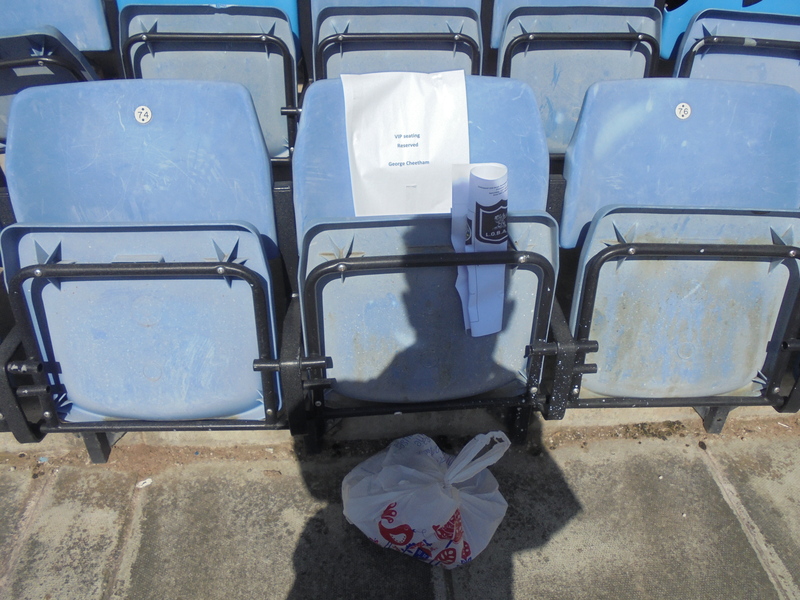 Alan then pointed out a bag and a team sheet (home players only) at a chair in the stand and informed me that said bag contained some beers and food (sausage roll, crisps and an Aero), which had been readied for me and placed at my reserved spot! What a gesture that is and I really can’t say how much these gestures mean. Cheers guys. 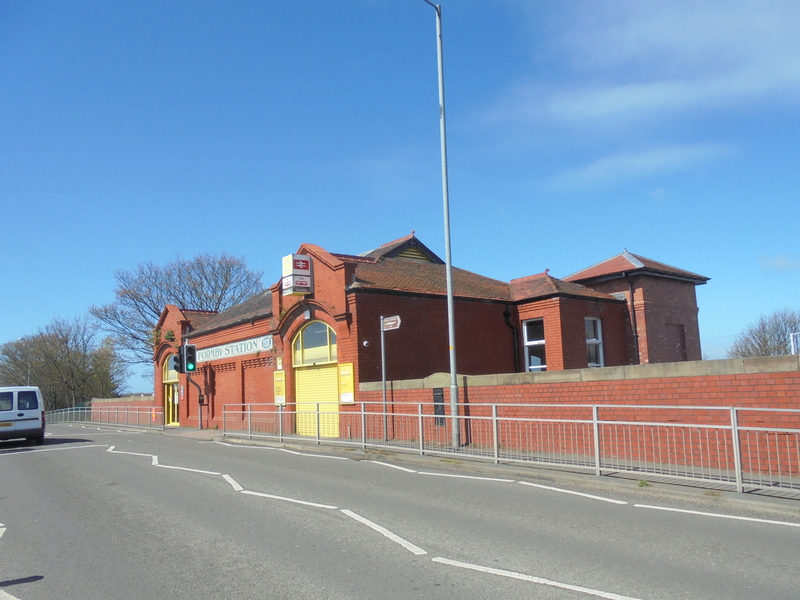 As for Altcar Road, well, it’s definitely seen better days. Obviously, there’s little need at this level for most of the facilities to be in use, but there is a tea bar open for hot drinks and chocolate and the stands are still in decent nick, with the Main Stand housing seats rescued from Maine Road before its demolition. This stand sits alongside the “turnstile” and is a few rows deep. 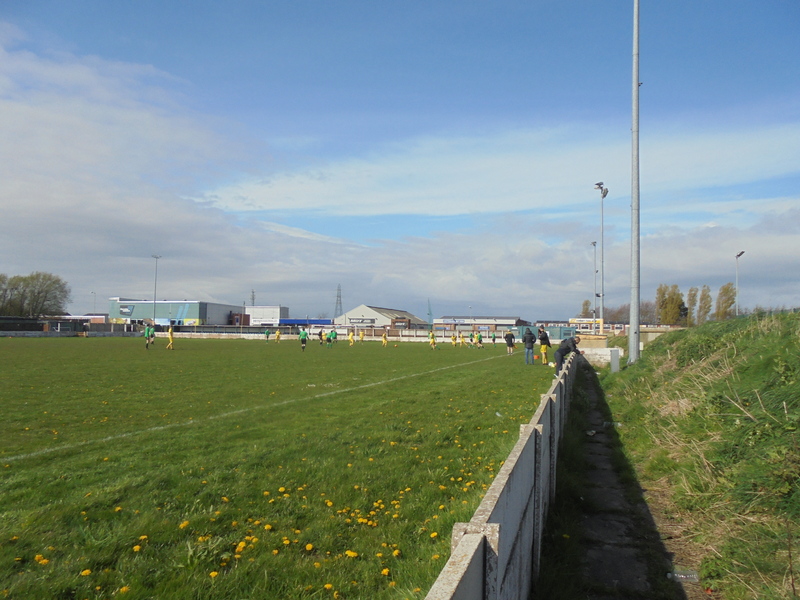 The opposite end is home to a covered standing area, with both sides offering open, hard standing, with the left hand touch-line also playing host to a grass mound, which provides a slightly raised view of the game. None of these were particularly going to be used today, what with the open nature of the ground and the bracing wind blowing across it. With a slightly delayed kick-off due to traffic issues delaying a few of the travelling players, we soon had all competitors out on the field ahead of this lower end of the table clash. Richmond currently sat eighth and Liobians bottom in this ten-team division, with a win for the hosts probably ensuring their place in the division come the end of the season. Brian headed off to take a place in the dugout for the game and we were soon underway. Now, to be honest, I didn’t keep too much of a close eye on the game as a whole and so can’t really remember anything past the goals! But to be honest, outside of them, I don’t think there was a whole lot more to shout about. It only took about five minutes for Richmond to break the deadlock the #23, Chris Thompson – whom I later learnt was playing upfront despite being a goalkeeper – knocking in a low ball from a few yards out. 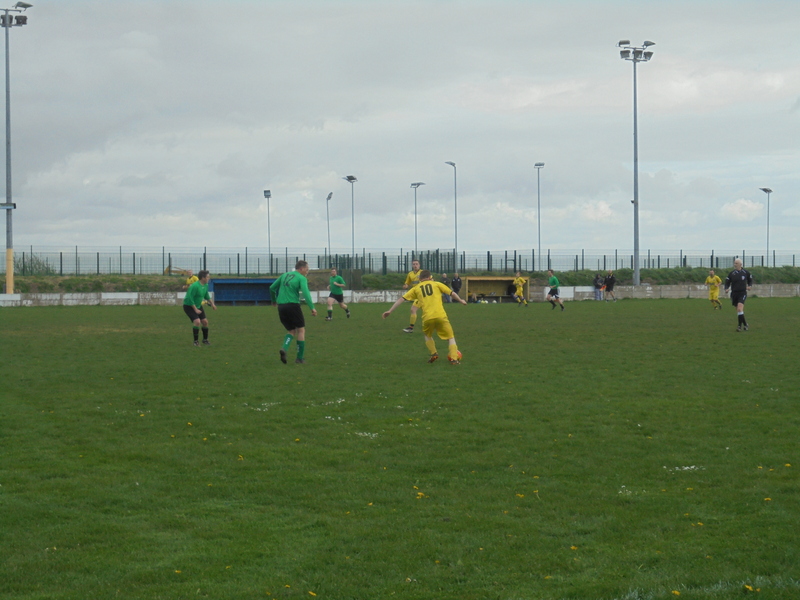 The outfield ‘keeper, Thompson, soon bettered this with a brilliant solo goal, as he picked up the ball around 30 yards out before taking it on slightly and lifting the ball high over the advancing opposition gloveman. The ball dropped perfectly under the crossbar and into the net and he clearly enjoyed it as he wheeled away in celebration! 2-0 and that was that for goals. After completing the essential lap of the ground, I made for the tea bar where I spent a good chunk of the second half. The reason for this is I got talking to Tony who was manning the place. Tony gave me some good insight into what’s going on with the ground and what the future plans could hold. Eventually, I decided I should probably let him have some peace from my inane ramblings and headed back outside for what was left of the game. Again, I reckoned I might as well do another lap and end up back at the gate come the end of the game. This involved a toilet break…using the one within the dressing rooms! The second half saw Liobians dominate, just as Richmond had for long periods in the first half. Whether that was largely down to the wind I don’t know. Anyway, they had all the possession and grabbed a goal back with around fifteen to play when #13 tapped in a low cross from around six yards after some pretty questionable defending in the lead up to the goal. Despite huffing and puffing for the rest of the game Liobians, in truth, never looked like getting the equaliser and so it proved with Richmond hanging on for the points. As the teams came off, I decided I should really wait and thank Alan and Brian once more for their gesture and welcome, and to also see whether the bottle opener was someone’s. As it turned out, it was Alan’s and with that safely returned I bid farewell to the guys and headed back off to the station. After realising I’d probably miss the train after remembering it was a late kick-off, I had to break into a jog for the final stretch of the walk, arriving on the platform just as the train pulled in. Perfect timing you might say. A nice, simple journey back through Liverpool South Parkway (the former site of South Liverpool’s ground, of course) was undertaken to finish off the day which, to be honest, had been a far better one then I ever imagined it would be when I planned it! 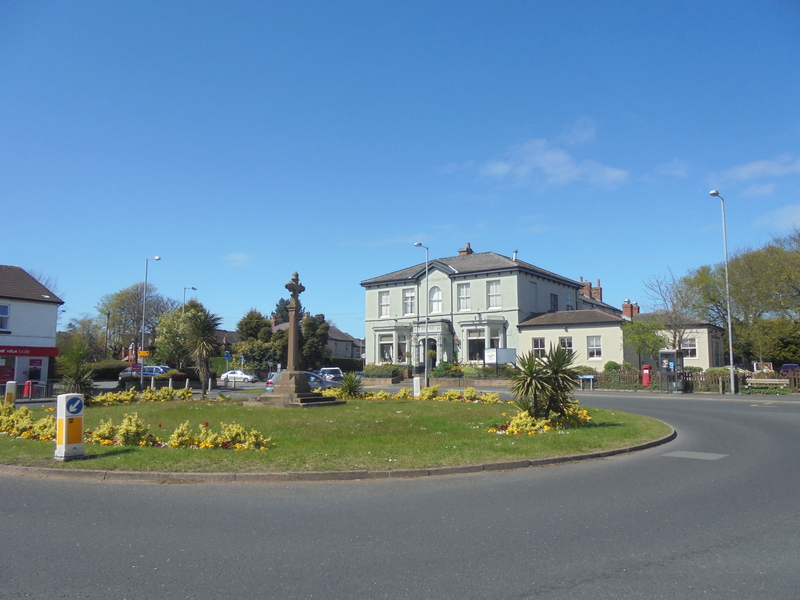 Again, thanks to the guys at Richmond and I enjoyed getting to Altcar Road and visiting Formby itself. It’s a pleasant town and it was just a shame the weather wasn’t warmer. But that’s Britain I guess. 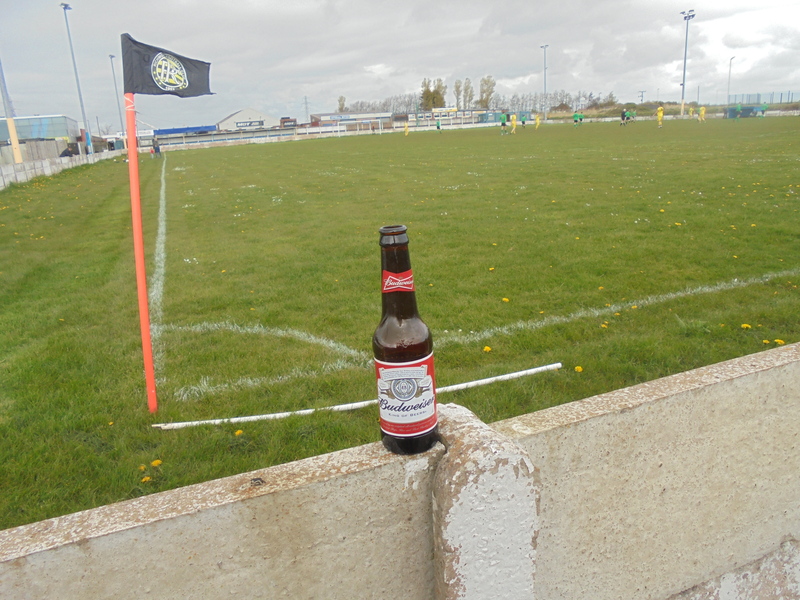 Next up comes the finale of the Easter groundhopping adventures and another ground that has a questionable future not a million miles away from this very ground…. Programme: N/A (was given a teamsheet though). 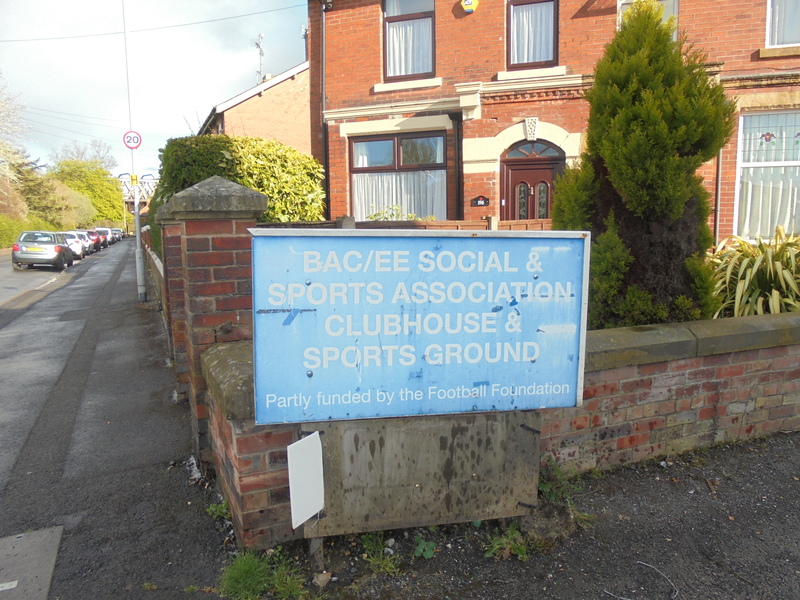 After ticking off a couple of the “frequently passed on a train, but not yet visited” grounds earlier this month in the shape of Parrswood Celtic and Rylands, the somewhat unexpected opportunity to tick off the BAC/EE club in Preston presented itself a couple of weeks earlier. 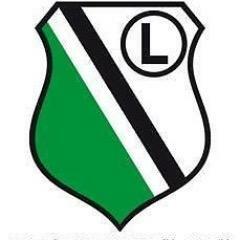 This came about after I had been researching if anyone played there still and came upon the Mid-Lancashire League and Newman College FC. 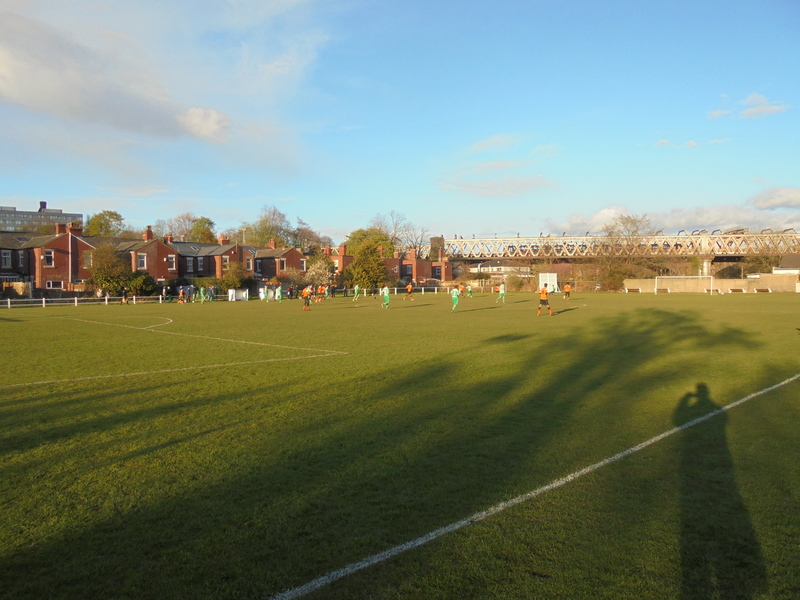 Having then seen that they were indeed using the club as their home ground, were playing this very Tuesday evening and trains back were relatively helpful, plans were made to head over to the Lancashire city. 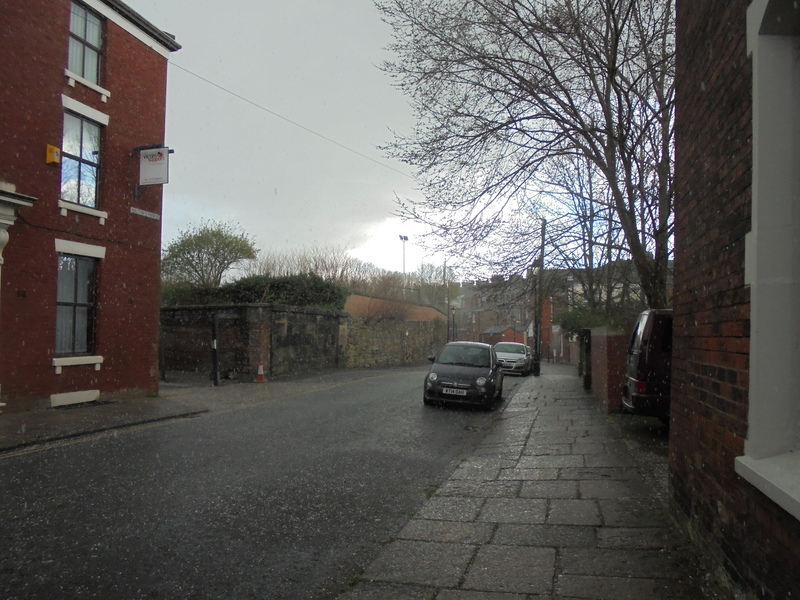 Of course, in late April the weather was due to be lovely and balmy wasn’t it? NO, NO! 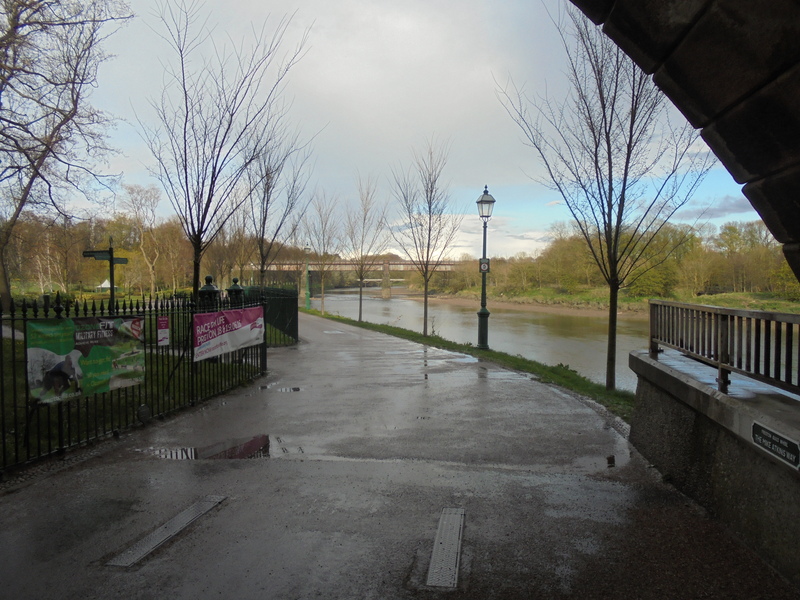 No, it wasn’t, it was cold, it was wintry but it was sunny, so some silver lining there. Also, having disembarked at Preston Station after making the 40 minute trip from Manchester, it began the weather phenomena that I have christened as “snail”. Snail is when it’s not quite snow, but also not hard enough to constitute hail so put the two together and there you have it. 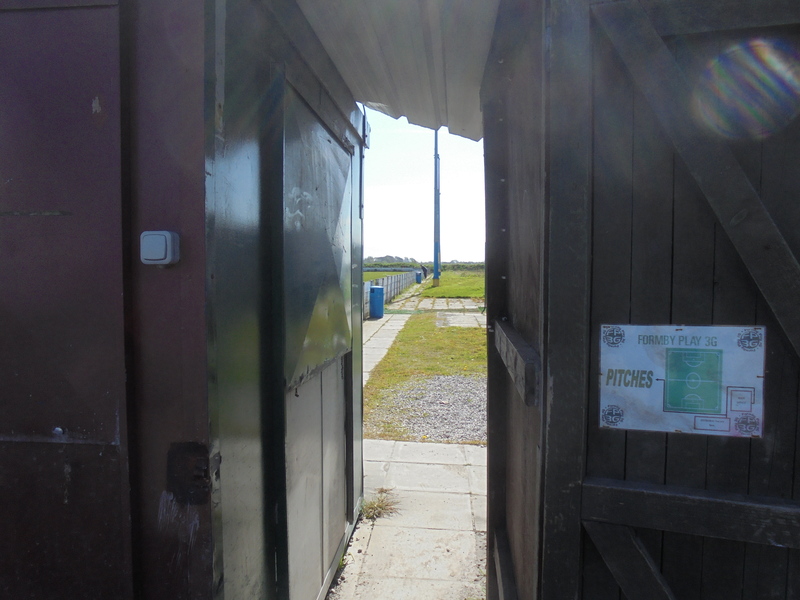 Anyway, after braving the “snail” I took the path through the nearby Miller Park, close to the River Ribble, and soon arrived at the BAC/EE club to find the nets being prepared and the players arriving, so we had a game. Unlike at Aintree. Bastards. 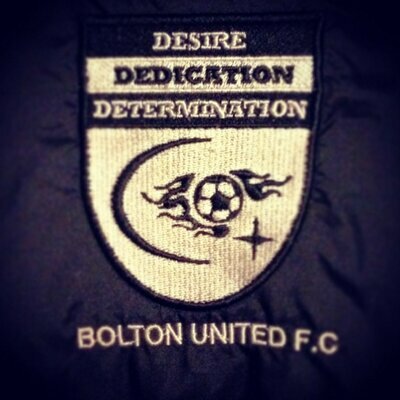 After ensuring a car load of Bolton United players that there was a game on, there was still a good 35 minutes until kick-off and I didn’t particularly fancy hanging around for that length of time. Luckily there’s a pub by the name of The Continental just two minutes from the ground and so this would prove my temporary respite in the lead up to the game. 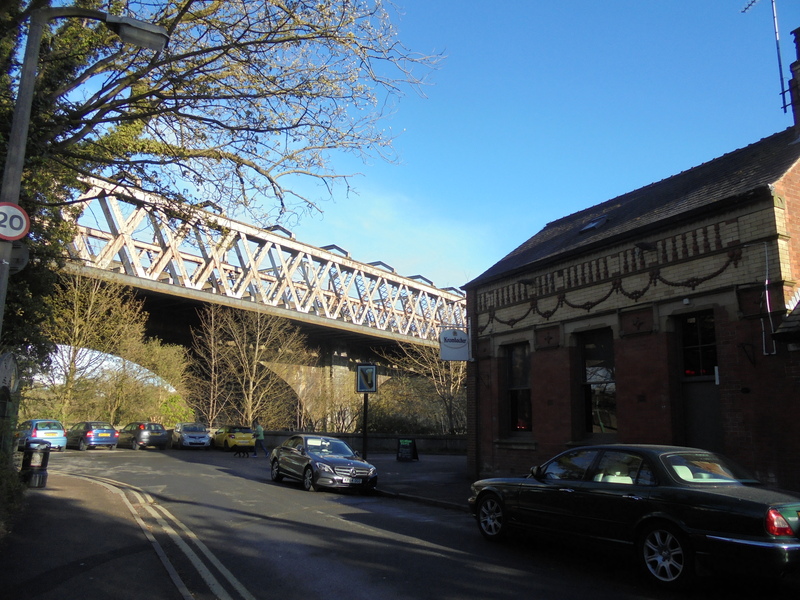 In the shadow of the railway bridge on the approach to Preston and in the company of a pint of Amstel, I waited out the time before braving the weather and heading back over to the Sports grounds. Upon re-arriving at the ground, I found the home team in something of a huddle, still awaiting their counterparts from Bolton, who soon joined them clad in a bright orange kit. Eventually, the match officials joined the teams on the field (the strange thing being there were linesmen in a league at a level they are rarely seen), but this was only the start of a few strange things to happen with the ref! The BAC/EE club is basically a cricket pitch which just happens to have a football pitch on the outfield. 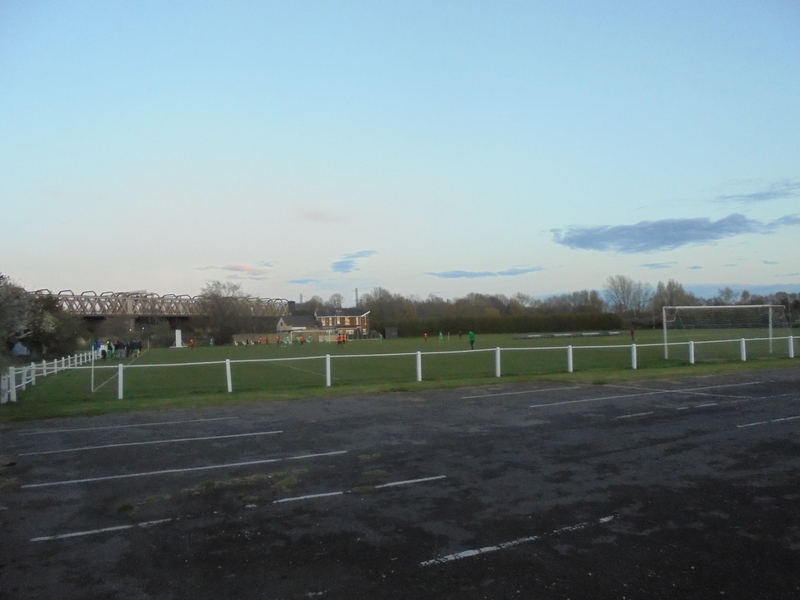 The football pitch is barred off on two sides, with the far touchline being up alongside the houses and features a little hard standing towards the car park and is where both dugouts are located. The far goal at the river end and the side of the “square” are not barred off. The car park you enter through provides the other hard standing, behind the other goal. There are also a few of the cricket benches which provide seating too, which is rather helpful! Eventually, after the officials had undertaken a lap of the ground and reminded the groundsman to put the pins in the net, we were ready to go. We got underway with both sides trading early chances, but with little to choose between them. Indeed, it was a tight affair throughout the first half after the opening minutes and it took a defensive error from the visitors to provide the opener. 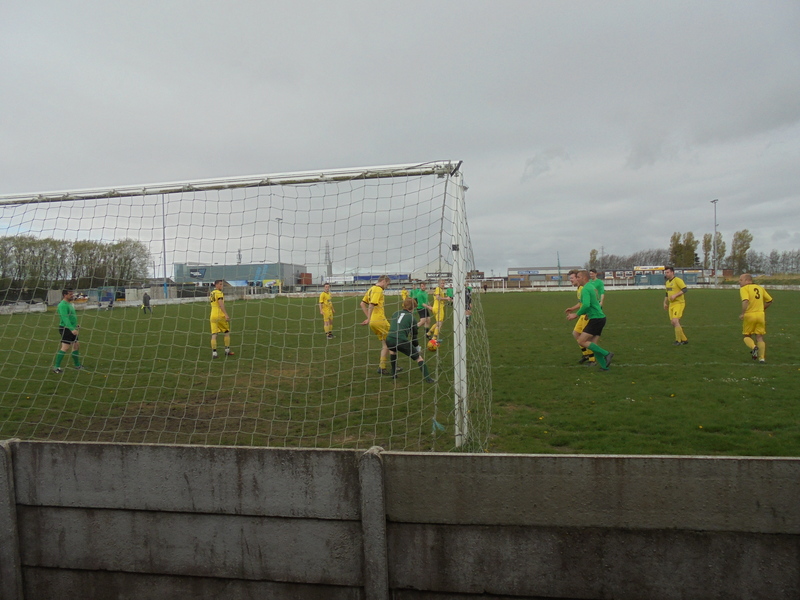 Around 20 minutes or so into the game, the ball was played into the Bolton United defence. 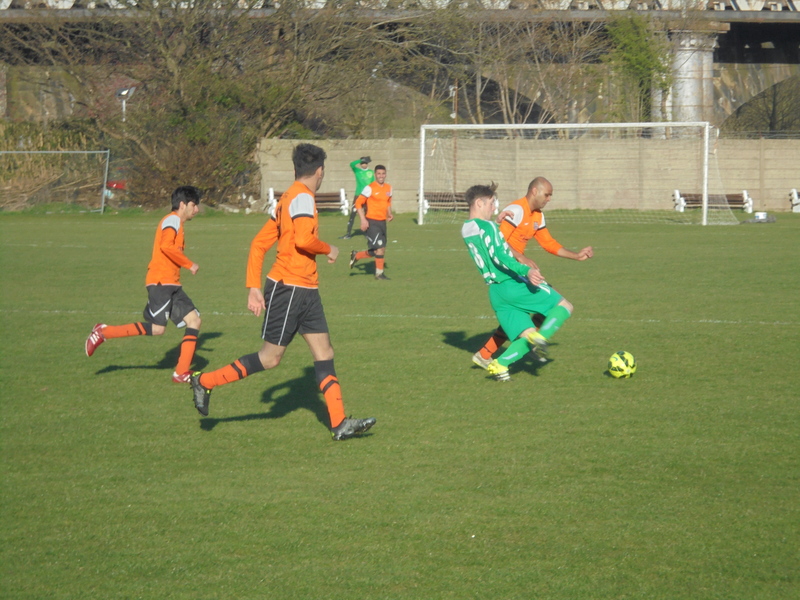 An attempted ball across the back four was intercepted by Newman’s #9, Richard Lemon, and the striker took his time before confidently finishing beyond the goalkeeper. 1-0. 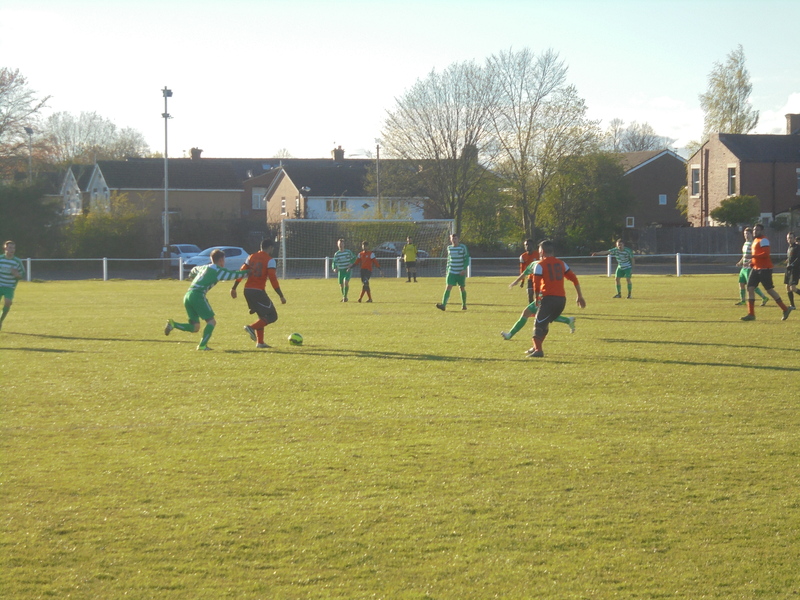 After this, the game continued to be an easily watchable one, with both teams providing some good play despite being faced by low sunlight. Bolton really should have been level before the break, with a close range shot being well saved by the Newman goalkeeper and #7 going close to sliding in a low ball across the six-yard box, but it just evaded his boot. After a 50-minute first half for no apparent reason, the ref finally brought the first period to a halt at 1-0. After just a four minute half-time we were back playing swiftly, with the time reading 19.44. Play close attention to that! 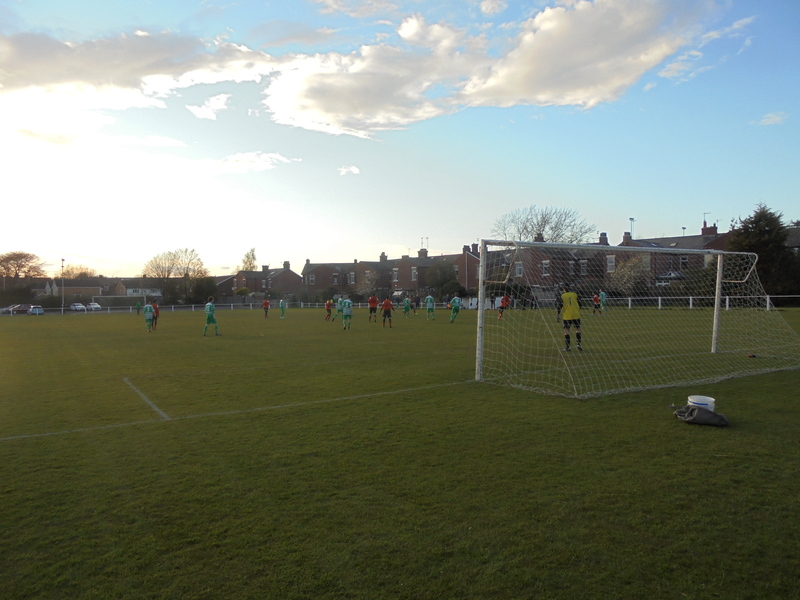 With Bolton now playing away from the setting sun, they seemed to take the advantage from Newman for the vast majority of the second half, but couldn’t find a way to force themselves back level. They did have a couple of close calls, the closest being with around 25 minutes to play when the ball found its way to a Bolton player around 20 yards out. His low shot seemed destined for the bottom corner, destined enough in fact for one of the Bolton bench to declare “It’s in that!” only for Newman’s ‘keeper to pull off another fine save with his fingertips to keep his side ahead. 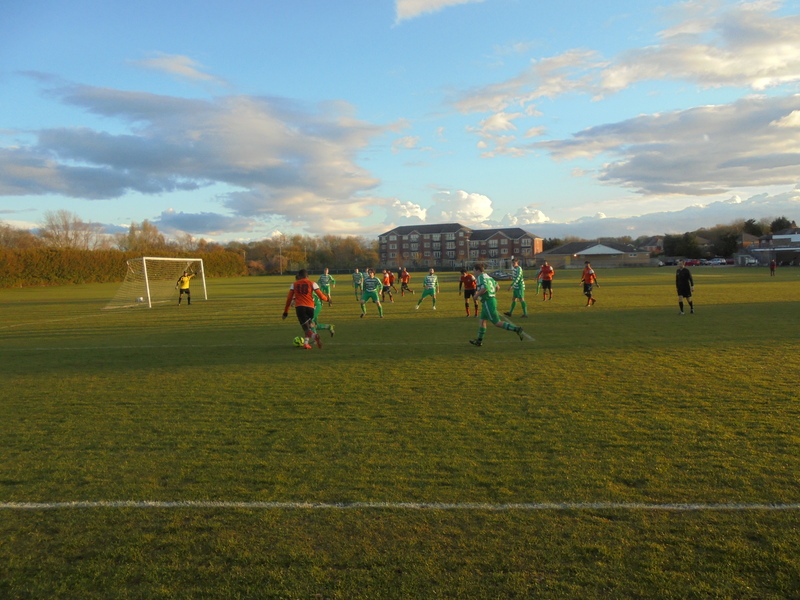 Just as it looked like it was inevitable that United would find the equaliser, Newman began to mount an attack and eventually the ball found its way to the feet of their #4, Sam Swarbrick, who crashed his shot beyond the helpless ‘keeper for 2-0. With 5 to play (it seemed), it was all over, but the action continued with…shall we say a “verbal disagreement”… on the Bolton bench providing some further happenings! Now, the next day I found out via asking Newman’s manager(?) on twitter when Bolton scored. I received the answer that they had found the net with 8 minutes left! 8 MINUTES!! HOW LONG WAS THE GUY PLAYING AGAIN?! Madness! That meant that I had seen no less than 98 minutes and still missed at least 8 so I figure the ref could do with a new watch battery…. Game: 6- Not a bad game to watch, better than I expected if anything. Ground: 6- Simple ground, just a barred off pitch, but good backdrop. Fans: 5- Not long, not long. Value For Money: 6- £11.50 on travel, £3.50 pint, but free game so not too bad.